Lytro keeps a steady flow of new features coming for existing and new users of their Light Field Camera. 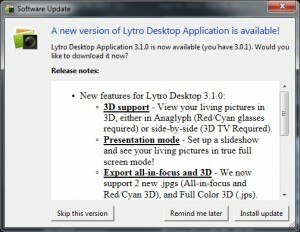 Most importantly, the newest Versions of Lytro Desktop and Lytro Mobile now offer 3D viewing and output for Living Pictures. 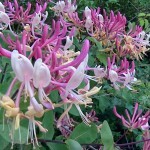 As mentioned above, the Desktop software can show your Living Pictures in 3D. 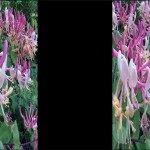 Both Anaglyph (red/cyan) and side-by-side 3D (for your 3D-TV) viewing are available once your pictures have finished processing for Perspective Shift. You can activate the 3D feature in the top-level “View” menu, or faster by clicking on the circled “Presentation Mode” icon on the left. iPhone users will be happy to hear that Lytro Mobile 1.2 also supports 3D output, but more on that later, in a separate article. 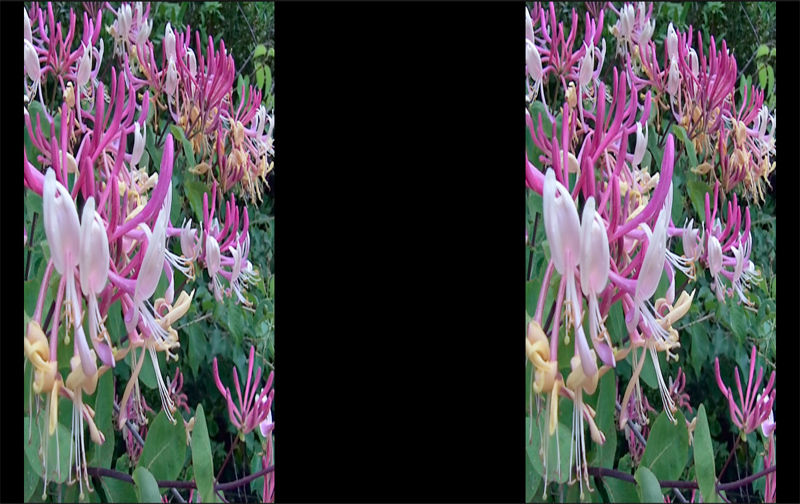 There’s a new “Iris Aperture” symbol in the lower right of the Single and Filmstrip views. Click it, and experience what is called “synthetic aperture” in the literature: The software uses all the data in your picture to generate a view with (almost) infinite depth of field. In order to use Lytro’s “Extended Focus” (or “All in Focus“) feature, you need to process them for Perspective Shift. “Presentation Mode”, activated via the lefthand menu that also contains the circled “Library”, “Image Information” and “Filters” Icons, allows you to view your Living Pictures in full screen mode. You can choose between 2D and 3D views, and even use your keyboard’s arrow keys to navigate between pictures. 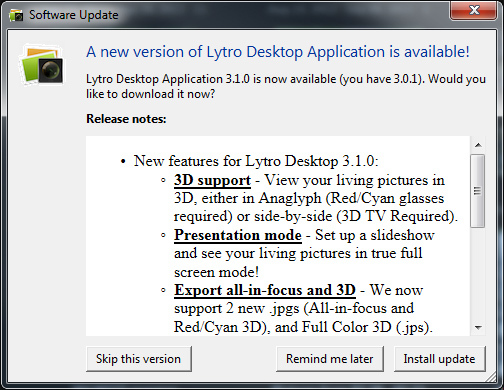 In addition to light field image (.lfp) and flat refocused image export (.jpg), Lytro Desktop now also allows users to view and export 3D pictures (red/cyan .jpg and full color 3D .jps) and all in focus (.jpg) pictures. Mac users will find that the design used in the new version aligns better with what you’re used to from the general Mac OS looks. 3D support – View your living pictures in 3D, either in Anaglyph (Red/Cyan glasses required) or side-by-side (3D TV Required). 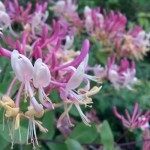 Presentation mode – Set up a slideshow and see your living pictures in true full screen mode! Export all-in-focus and 3D – We now support 2 new .jpgs (All-in-focus and Red/Cyan 3D), and Full Color 3D (.jps). Extended Focus View – Toggle between all-in-focus and refocus modes. 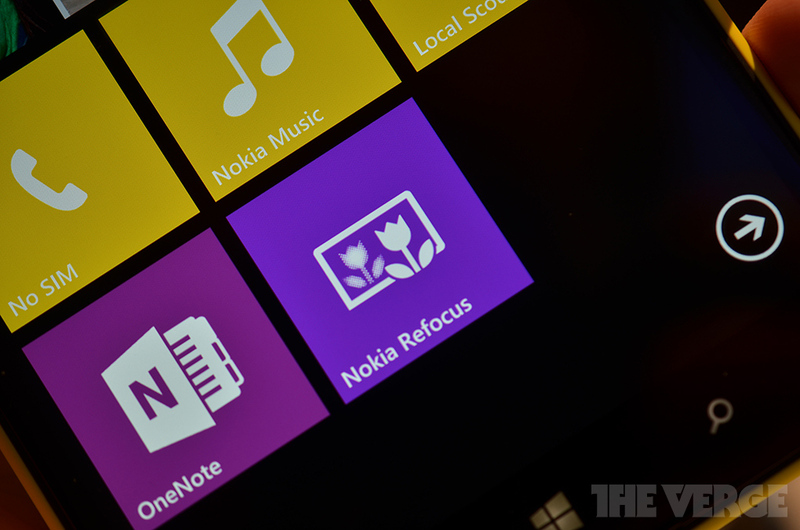 And of course… Bug fixes and performance improvements to stability and memory. What do you think of these new features? Be sure to let us know in the comments section! 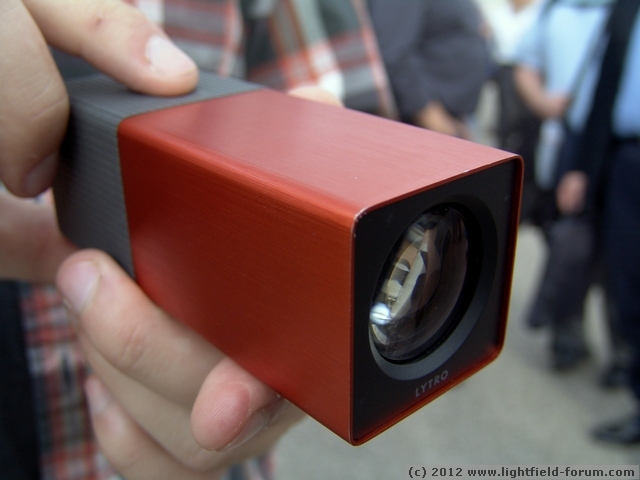 When and where can I buy the Lytro Lightfield Camera?